Sarina DuPont from Embarcadero has two blog posts up that cover creating a signup and login system using the new BaaS components that come with Delphi XE6 Firemonkey. The BaaS components run on both Android and IOS so you’re building cross platform right out of the gate. At the top of the post she also has a link roundup for her other posts about the BaaS components. The login demo uses the TBackendUsers component against the Kinvey provider service. The function to do the actual login call is TBackendUsers.Users.LoginUser(). The signup demo uses TBackendUsers as well except it uses the TBackendUsers.Users.SignupUser() function to sign up a new user on the server. I must say that the BaaS components look like they really take the hard work out of building apps that talk to a server. However, the drawback is that if Parse or Kinvey ever go out of business or change their business your app will also stop working. In any event for rapidly prototyping an app BaaS may be the way to go. You can always come back in later and create your own Provider that interfaces to your own backend server to remove the reliance on a third party for your app. Plugging your own server side into the back end of the BaaS components as a Provider could really give you a jumpstart because it would basically give you roadmap of everything you need to build to create a scalable functioning server side API. Head over and check out the full tutorial on building a login system for your app using the BaaS components. 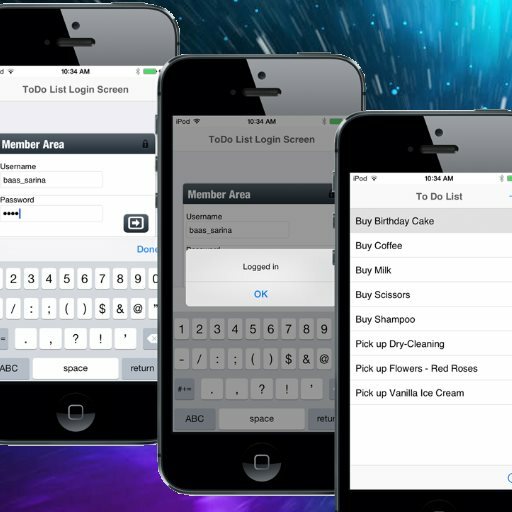 And then head over and read the full tutorial on building a signup system using the BaaS components for your app in Delphi XE6 Firemonkey.